These are common concerns of parents with an autistic child. Autism, or Autism Spectrum Disorder (ASD), describes children with difficulties communicating, engaging in social situations or responding to environmental stimuli. Each child is different, and in many cases, children demonstrate great strengths and abilities alongside their challenges. Some challenges are quite mild, while others are extreme. Autism is highly complex, so it’s no surprise that parents would wonder about how curricula can be designed to meet their child’s individual needs and help their child progress in school. You might know that your child’s education will be tailored to suit his or her needs. But, you likely wonder what exactly that means. More importantly, despite your child’s disability, you want him or her to be well prepared for adulthood and to have access to every opportunity possible. So, how do teachers make that happen? Specially trained teachers administer an initial assessment to determine an autistic child’s needs. This assessment reveals more to a trained teacher than just the child’s challenges; it also identifies the areas where the child excels, and it can help the teacher understand his or her strengths and interests. From this assessment, a teacher will glean important information, which will help him or her design a curriculum to guide a student toward an appropriate set of academic standards and identify functional skills to improve. The teacher can then choose effective teaching strategies and prepare a physical learning environment that is most suitable for the child’s level of autism. 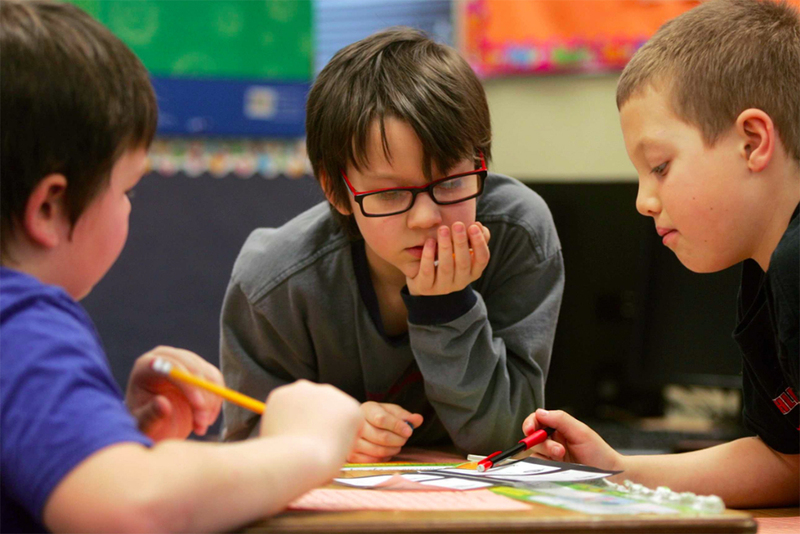 In many cases, teachers design a curriculum that combines functional and academic instruction. A functional curriculum is intended to teach students with all levels of autism practical life skills, which promotes independence, self-reflection, decision-making and more. Students learn through real-life experiences, using concrete objects in a natural environment. Often, academic lessons are embedded in this curriculum. For example, a functional curriculum might include using coins to purchase something from a vending machine, ordering food from a menu, or crossing the street at a crosswalk. Each of these tasks requires an understanding of a real-world process, in which students must exercise judgment and act independently. Students might also practice routines, such as preparing the tables for activities or meals. These types of activities help the students learn to interact with each other, work as a team, and practice skills that they can transfer to their homes or elsewhere in the community. Accomplishing these tasks is crucial to an autistic child’s development, as he or she will learn to actively participate in the environment. Plus, learning these skills will help an autistic child transition to adulthood. Federal and state law mandate that school personnel consider the unique needs of autistic children when determining their placement and designing curriculum. The Individuals with Disabilities Education Act (IDEA, 2004) ensures that all students with disabilities, including various levels of autism, receive access to quality education that prepares them for post-secondary school and adulthood. In Virginia, an autistic student’s curriculum is designed with Virginia’s Standards of Learning (SOL) or Aligned Standards of Learning (ASOL) in mind. Some autistic children can participate in general class work and listen patiently to regular teaching. In these cases, students might follow the curriculum designed to meet the SOL. However, many autistic children struggle in regular classroom settings, and their unique needs, abilities, and learning styles would be better accommodated in a different academic environment. In these cases, teachers can design an academic curriculum that helps the children meet the ASOL, which are less complex but still age-appropriate standards. Trained teachers use a variety of techniques to teach students with varying levels of autism academic skills in communication, reading, math and more. Teachers often balance direct instruction with small group activity, and lessons use a range of multisensory materials to cater to different students’ learning styles. While students practice functional skills, such as purchasing an item from a vending machine, they might be engaging in a math lesson, too, as they count coins to pay. Combining functional and academic learning in this way is common practice. Your child will be assessed regularly as he or she progresses through a given curriculum. Adjustments will be made to suit the ways that your child advances, the new needs he or she develops, and the changing learning styles that emerge. While challenges and setbacks might occur, achievements will also be made, and it’s important to praise your child even for the smallest success. The goal of any curriculum is to help an autistic child take the skills and lessons from the classroom and generalize them at home and in the community.